Slycy goes National with gift from Equus and Platinum Performance! – Healing Arenas, Inc. Thank you to the Equus Foundation for rewarding us with the Transparency Grant for 2018, an annual contribution which this wonderful organization gives to non-profits that promote health and well-being for equines across the nation! Your trust in our organization means so much! We’d also like to thank Platinum Performance for their $500 Gift Certificate for their products for Slycy, our 2018 Thoroughbred Makeover contestant! Slycy will be using #PlatinumPerformance for the next 30 days – we can’t wait to see the improvement in his conditioning! Thank you Platinum Performance for your partnership!! 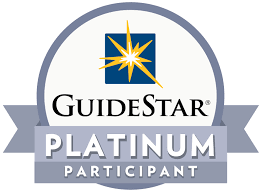 We are grateful to be a Platinum Guidestar Member!